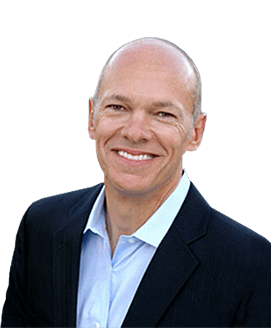 In my post You Can’t Improve What you Don’t Measure, I explained why measuring your performance is critical to achieving your goals. Whether in business, sports, school, or any area of life, you can’t improve what you don’t measure. The same rule applies to your personal finances. The first thing I do in this year-end activity is update my net-worth ledger. A simple Excel document lists my assets. Next to each asset I enter what I believe is the fair market value for that asset. Some are easy to determine—such as the value of my stock-market investments; however, other investments—such as my real estate holdings—require an honest assessment of their true value. Then I list my liabilities. At the end of the document, I subtract my liabilities from my assets to determine my year-end net worth. Whether you make your list of assets and liabilities on a pad of paper or on your computer, your goal is to determine your total net worth. This allows you to see how well you preformed in relationship to your goals and serves as a new baseline upon which to build in the upcoming year. Having a personal budget is a critical element in living a financially responsible life. Once it is established, you must have the self-control and discipline not to exceed it. People who don’t set and live by a personal budget are unlikely to ever get ahead. At the end of each year, I create a final budget report. This report lists all the categories such as groceries, gasoline, auto repairs, vacation, charitable giving, mortgage payments, real estate taxes, and so on. To the right of each category are two vertical columns. The first column shows the amount of money budgeted for a specific category and the second shows the actual amount spent. I use a financial software program called Quicken, which allows me to create this report in a matter of minutes. My wife and I sit down and review this report, line item by line item, and discuss each one. If we were below budget, we discuss why. If we were over budget, we review our expenses to determine what happened. After we discuss our plans and goals for the upcoming year, we go back over the report to guide us as we create a new budget for the upcoming year. This includes categories where we are going to reduce spending and others where we are going to increase our spending. When this task is done, we have an agreed-upon budget for the upcoming year. If you are married, be sure to go through this process together. A budget is something both parties in the relationship must understand, agree to, and be committed to following. While I monitor the performance of my assets throughout the year, I always do a complete review and evaluation each December. As part of this evaluation process, I meet with my financial advisor who manages a part of my investment portfolio. I seek his opinion on the market conditions and changes we need to consider to meet my financial objectives. We discuss my current income, special financial needs in the next 12 months, and my current risk tolerance. In addition, I seek the counsel of some wise friends whom I respect and trust. My goal is to get their input on our current market conditions and learn what their plan is for the upcoming year. When this process is completed, I make my final decisions and put together my investment plan for the new year. As part of my year-end financial review, I set my net-worth goals for the upcoming year. This includes the amount of money I am committed to saving and the results I expect to achieve with my investments. I put these goals in writing, follow my plan, and monitor my results throughout the year to make sure I am on the right track. 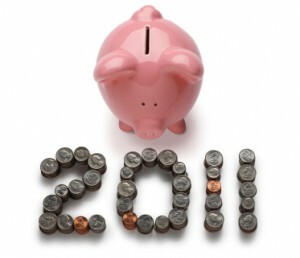 Block out a full day between now and the end of the year to work on your financial goals and plan for 2011. As part of your plan, make sure you have a household budget that includes savings for future needs. If you did not follow a budget for 2010, read Become the Captain of Your Financial Ship and make the commitment to start in 2011. Proper money management is the foundation to asset accumulation. What type of financial decisions do you make at the end of each year? How do you put together your financial plan for the upcoming year? Please share your insights and ideas in the comment section below this post.